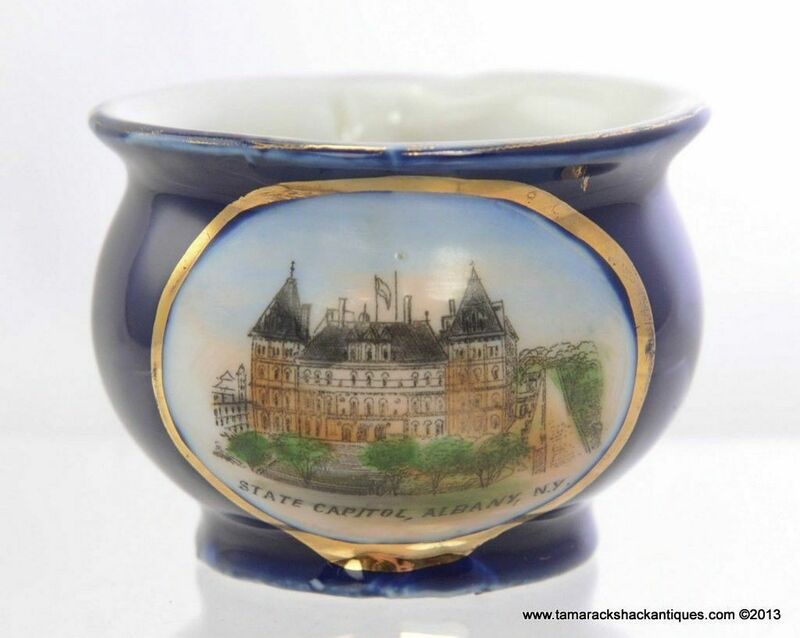 For your consideration is this State Capitol Albany New York Blue German Handled Cup Antique Souvenir. 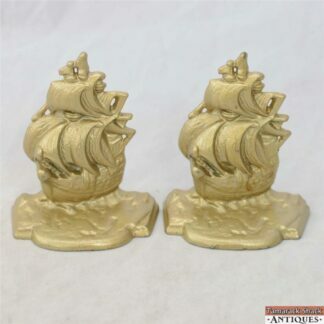 It measures 1 7/8″ tall, 3 3/8″ long, and 2 1/2″ in diameter. Underneath the picture it reads State Capitol, Albany, N.Y.. This cup is in nice condition with no cracks or chips. The design and the color look very nice and have little loss. The edge of the cup,around the picture, and on the handle are all gilded. The gilding has some loss. The cup is marked Germany on the base. The picture has a lot of detail and color and is well done. This would look great on your shelf! Please see the pictures for more detail.